Show how you will use type. Both headline and body copy. Show how you will use photography or inspiration. In other words, create an example design of your own. This entry was posted in Folding Poster, FP : Type Treatment and Style on December 7, 2011 by Kwangwon Suh. This entry was posted in Folding Poster, FP : Type Treatment and Style on December 7, 2011 by INSEOK KANG. Since I want the main focus to be in the constellations and I want the person that interacts with the poster to feel and understand how he or she is part in the universe and his relationship to the stars, I want the type to be neutral, clean and not distracting. So I am going to use Helvetica in white or light gray over a dark background. The style is going to be a fusion of a sky map with Leonardo DaVinci’s Vitruvian Man. This entry was posted in FP : Type Treatment and Style on December 7, 2011 by Vanessa Munarriz. This entry was posted in FP : Type Treatment and Style on December 4, 2011 by Yeji. For the type I will use Futura in the body and mixed types for the titles as a reference to the Dada style of design. This entry was posted in Folding Poster, FP : Type Treatment and Style on December 4, 2011 by Dylan. This is the grid I have established for the text that will be used within each “Step” square. I want it to be clean, so the “Step __” is aligned to the top left of the colored section and the text is aligned slightly below that in the center of the colored section. Also, I have chosen to use the font Ogreave size 24 for headlines because it is very similar to the official font that is used in Lady Gaga’s logo. For the body text I will use Helvetica size 10 because I do not want to take away the emphasis from the headline font and Helvetica would not be distracting. This entry was posted in Folding Poster, FP : Type Treatment and Style on December 3, 2011 by Adrian. I really like this “Cuprum” typeface I’m using for this post right now, and I think that it would be good for cramming a vast number of words into a small text box. I would have to play with it though to see its readability, but I know that a sans serif would be better considering the DJ composes mainly on a computer as opposed to a classical piano, which would inspire a more traditional serif. All I know is that I don’t want to use Futura regular because it’s too fat. I want to use geometry in the typesetting because I like geometry and also the fact that all of the album is composed using the computer, which runs on a system based on mathematics, makes it conducive to geometry. However, I wanted to avoid being every hipster and their mom and use some Native American/Aztec patterns, so I want to create something clean and readable where the Figure/Ground elements don’t quarrel with one another. This entry was posted in FP : Type Treatment and Style on December 1, 2011 by Eileen. 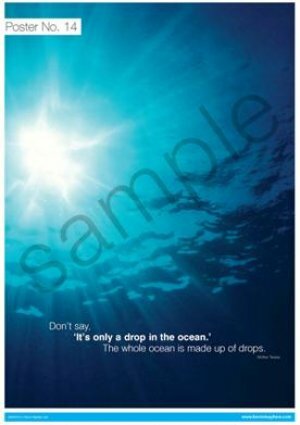 Since my topic is Oceans, and I want to use a kind of fluent and “bubble” like typeface. I looked up the fonts, and the one that really caught my eyes was a typeface called”Charlotte Sans.” It is sans seif font, and I gives me a feeling of fresh and oceanic. This entry was posted in Folding Poster, FP : Type Treatment and Style on December 1, 2011 by Sharon. These are some typefaces I have been playing with. This entry was posted in FP : Type Treatment and Style on November 30, 2011 by Sarah. This entry was posted in Folding Poster, FP : Type Treatment and Style on November 30, 2011 by Jake Atchoo.